Orion Dobsonian Skyquest XT10 costing 775 US dollars or approximately Rs 50,000 (in Indian rupees). Astronomy has been my passion since childhood. I experience a sense of awe looking deep into a star-lit sky on a clear night, curiosity at the possibility of extra-terrestrial life on one of the billions of exo-planets populating the universe, unfathomable interest in knowing about the nature of planets, stars, galaxies and Universe itself, and an obsessive desire to study the cosmos and unravel its many mysteries. We are made of star stuff after all, as Carl Sagan once put it so beautifully and succinctly. My attraction to astronomy is somewhere connected with an interest in the larger questions in life, such as where we come from, etc. While these questions originated in my philosophical quest, I realise that these are better answered by specialised domains such as astronomy/astrophysics. Why do I need a telescope? The Universe is a laboratory of astronomy and telescope is THE tool of the astronomer. I need a telescope to pursue my life-long passion in astronomy, to satiate my intellectual quest to better understand the universe and make a mark as a citizen scientist. Moreover, I do not see the pursuit of astronomy as merely a solitary activity, but a way of contributing to society at large. I hope to use the telescope as a means of creating awareness and fostering a love for astronomy in particular and scientific careers in general among the kids of the school where I teach. With a telescope in hand, I can also introduce the wider social (village) community to the interesting world of astronomy and watch them gasp in excitement at being able to feel the connection between themselves and the cosmos. Even a contribution of one dollar will be much appreciated and go a long way in achieving my immediate goal. I may not be able to return the amount, but your name will be etched in letters of gold in my heart and in the astronomy work that I undertake in the future. 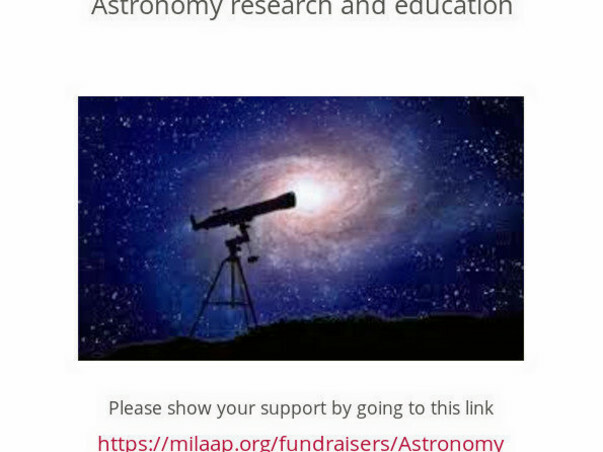 In return for your kind contribution, I will send you a massive 'Thank You' email, a regular update about my activities in the field of astronomy and be a life-long friend to you, my dear benefactor. I can also assure you that you will be abundantly blessed by the universe for helping me to pursue my dream. And f course, you can be my valued guest and use the telescope on your next visit to Goa. 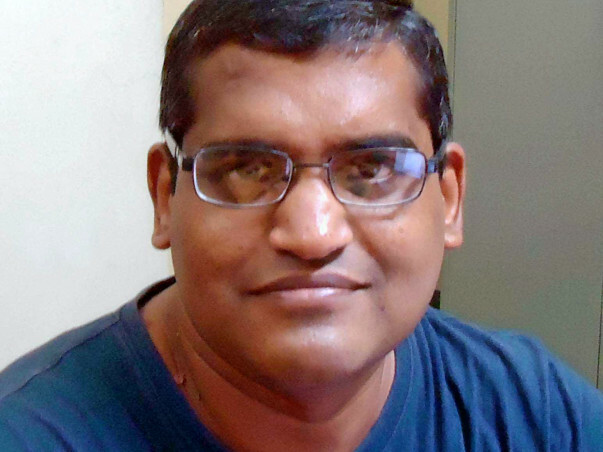 I am an amateur astronomer and citizen scientist based in Goa, with an interest in both optical astronomy and radio astronomy. I have been making use of online telescope websites such as worldwidetelescope.org and itelescope.net to good effect to sustain my interest in the skies. I have also been contributing as a citizen scientist to Astronomy projects on zooniverse (zooniverse.org), which is a citizen science initiative. I would like to take this further by way of ‘live’ sky observations. I also want to create awareness about astronomy ala John Dobson of the famous Dobsonian telescope fame, who gave many a budding astronomer the first taste of beauty and vastness of the universe. I sincerely hope to leave a trail of inspiration and hope for generations to come, and you could be a part of my life's mission through your financial and moral support. I can, and I will, do astronomy, thanks to YOU.